The sun was barely peeking over the horizon, beginning to shed light across the ramps and runways at Dallas-Fort Worth International Airport (DFW). Inside the airport, shuffling through the crew lounge doors were two wide-eyed pilots reporting for duty. Only, on this morning, they were not preparing for flights but instead preparing for their moment in front of the camera. 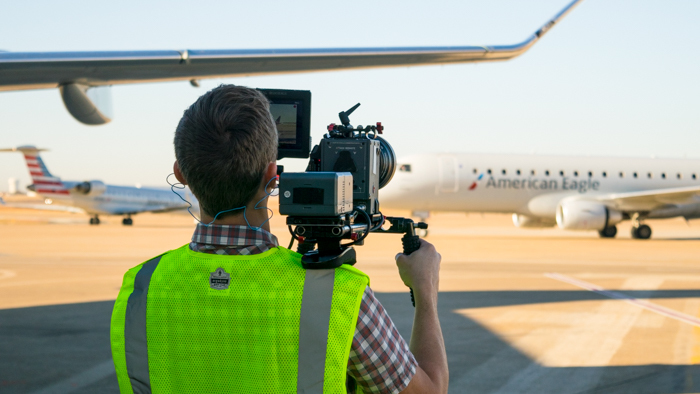 Last week, videographers from FLYING magazine and ATP Flight School traveled to DFW to feature Envoy pilots and capture what a pilot’s typical day might entail. 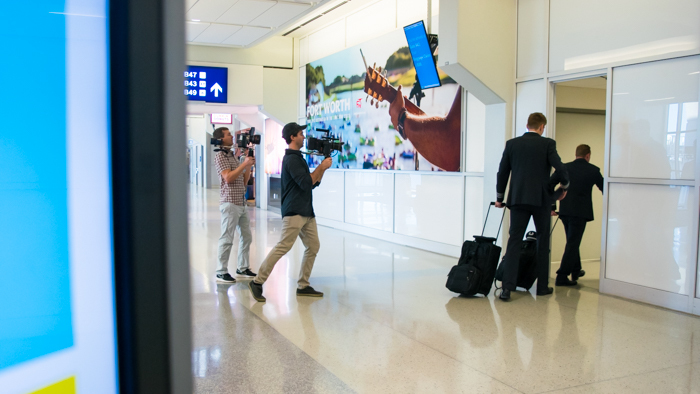 Over the span of about 12 hours, the film crew and Envoy pilots traversed through the terminals at DFW, performed mock walk-arounds on the ramp, zoomed up and down jet bridges and sat down for on-camera interviews at Envoy headquarters. Along the way, helpful ‘extras’ in passenger and in-flight services played their role as well. First Officer Jay Herring had never been in front of a video camera, but playing the role of pilot came natural to the newly-minted actor. 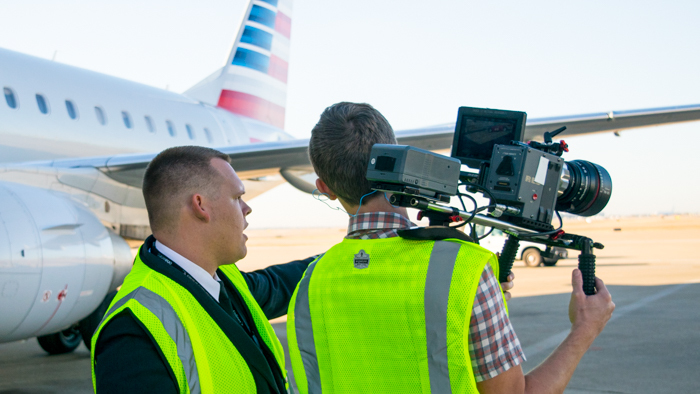 Envoy and ATP have partnered over the years to train and hire the world’s best pilots, and with this video shoot, the two wanted to showcase the unique nature of an airline pilot’s daily routine. Most aviators looking to join an airline don’t necessarily want a nine-to-five job, but instead want a daily adventure. From signing-in remotely from their iPads to commanding an 80 thousand pound aircraft, the day of a pilot isn’t exactly the norm. 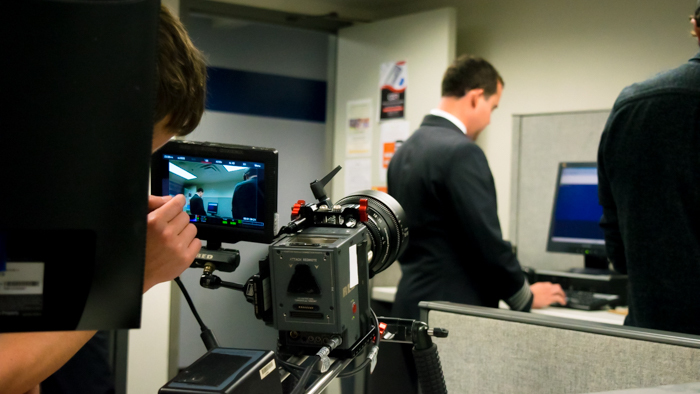 And it’s not every day that you get to be the star of a video, but sometimes that’s life at Envoy. It was a fast-paced day where everyone earned their steps for the day, but it couldn’t have been done without careful organization and teamwork.